â€¢ Custom Practice Range - Set your own range of notes that you want to practice with. â€¢ Supports notes up to 4 ledger lines above or below the staff on any of the clefs. â€¢ Notes Reference Charts - For Treble, Bass and Alto clefs. â€¢ MIDI Support - Connect your keyboard or digital piano using Lightning to USB Camera Adapter and respond directly from your instrument. 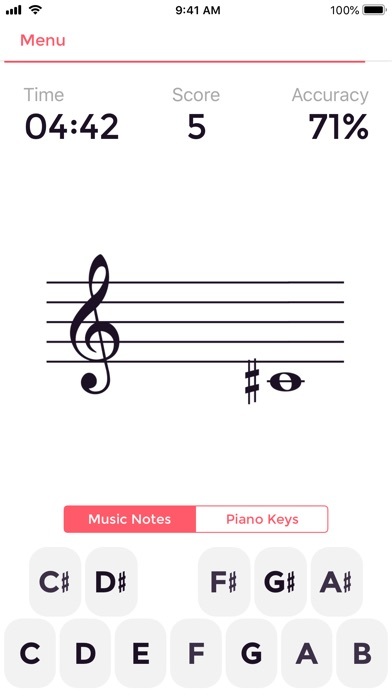 â€¢ Companion Apple Watch app using which you can practice recognising music notes on the go.